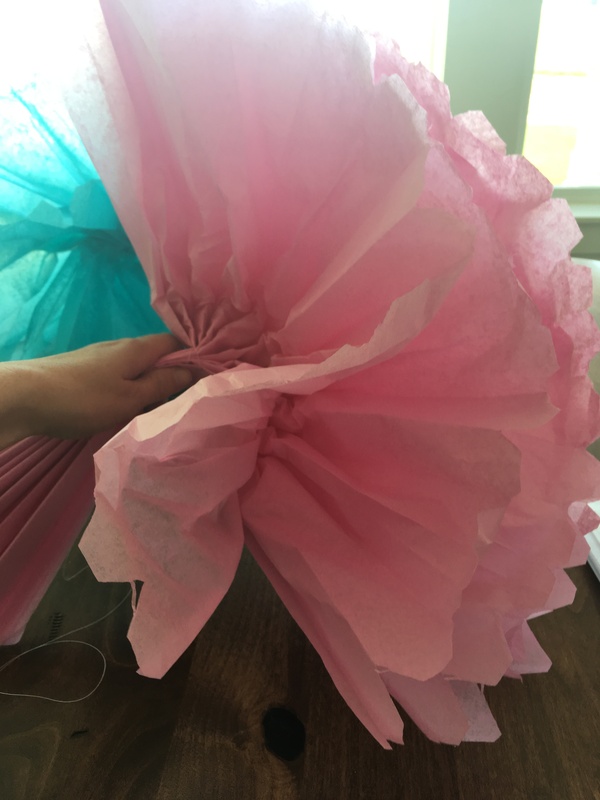 I LOVE to make tissue paper pom poms! 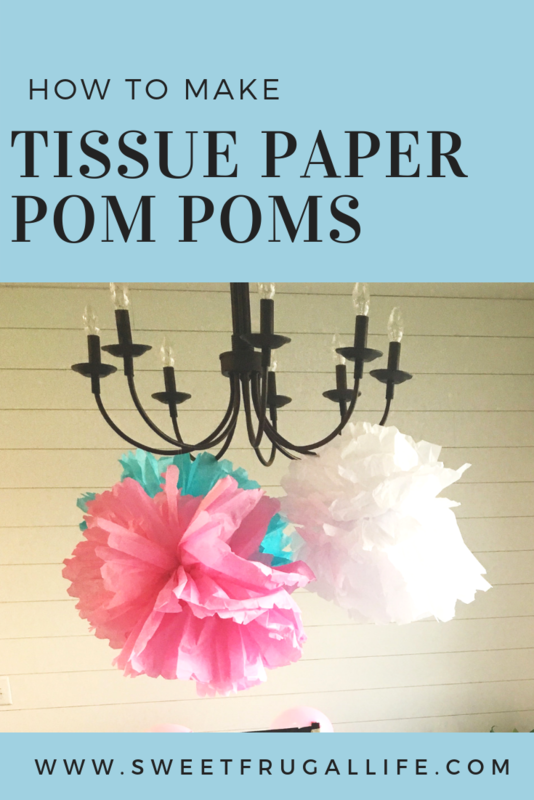 They are one of the easiest, cheapest DIY decoration around. 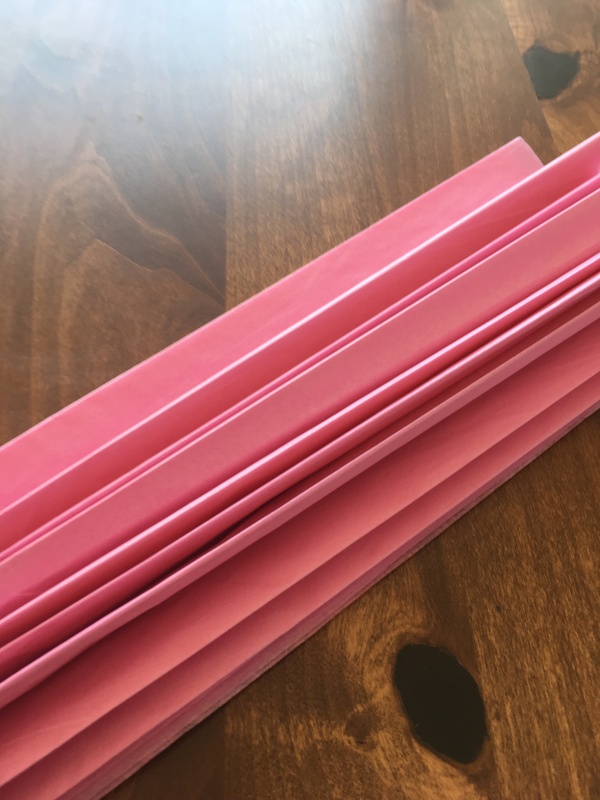 I have made some for my daughters rooms, and they are a staple at all my kids birthday parties. 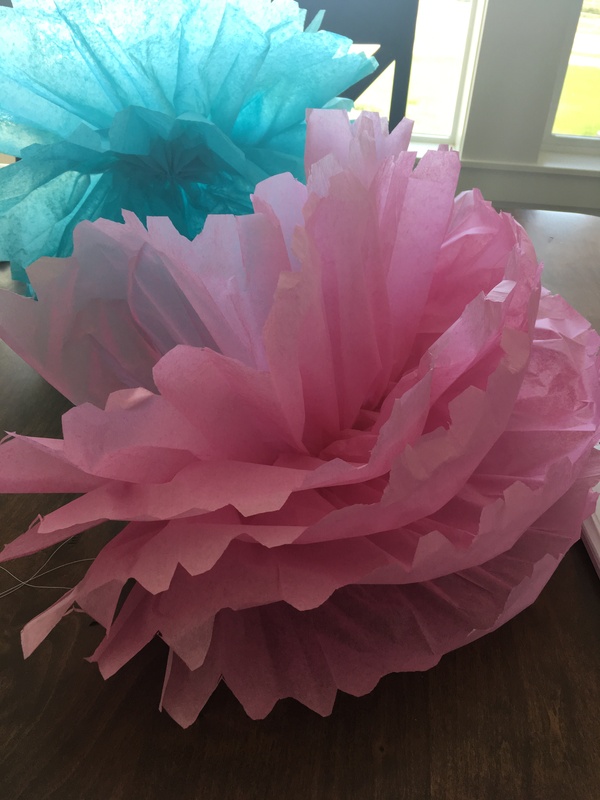 A lot of stores sell pre-made pom poms, that just need to be fluffed up, but I’m telling you…..those are not worth the money. You can easily make them yourself for a much cheaper price! I promise you can even do it if you are NOT a crafter. 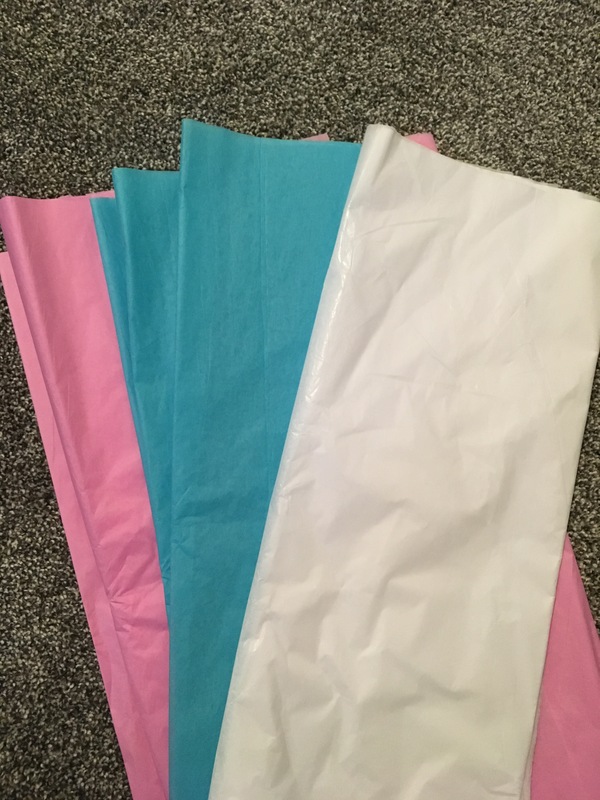 First, you will need about 6 pieces of full size tissue paper, you can use more or less. The more sheets you use, the fluffier your pom-pom will be. 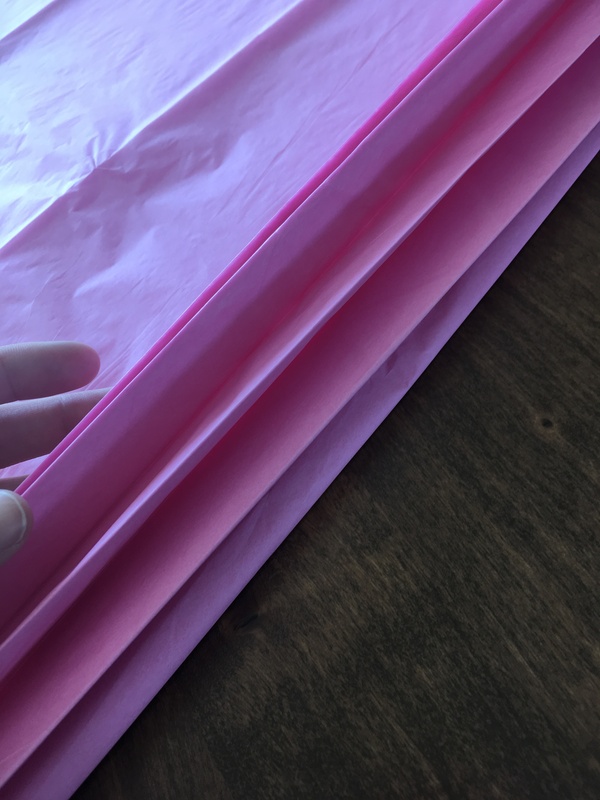 Unfold your tissue paper, layer each of the sheets on top of each other, and lay it flat. I’ve done this on a table, carpet, wherever will work just fine! 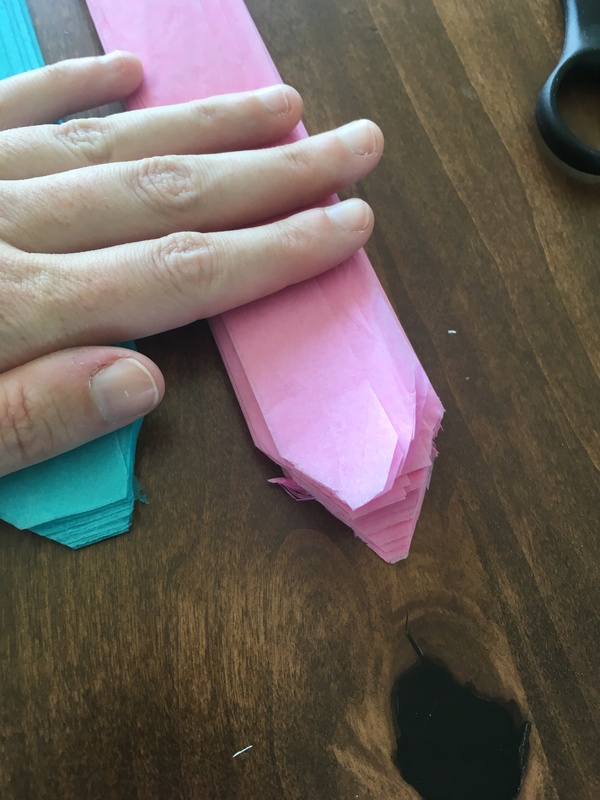 Starting at the shorter end, you will fold the tissue paper (all sheets together) accordion style. 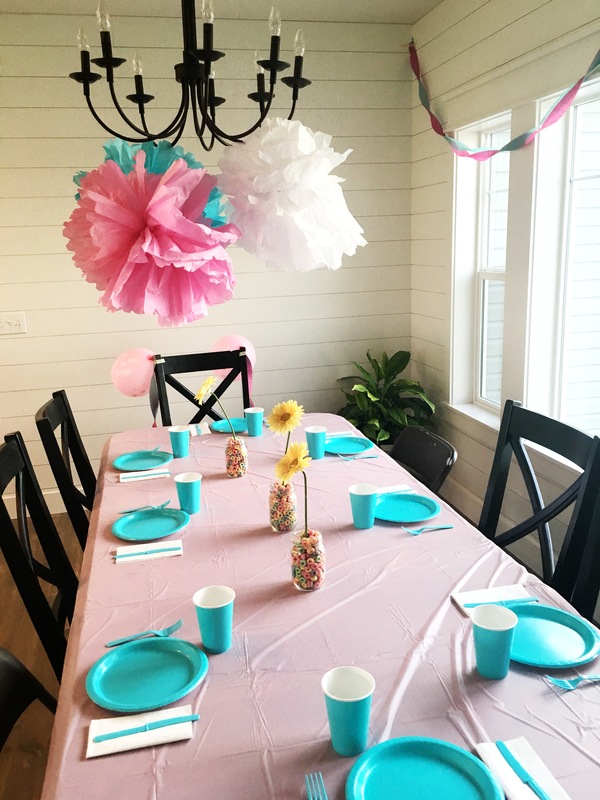 Your finished product should look similar to the pictures below. 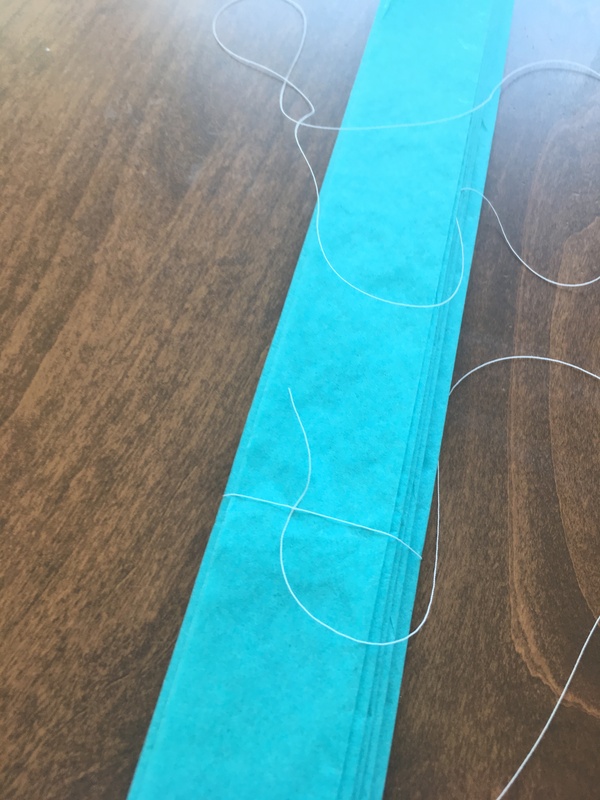 Take some string, (I just used thread because it’s what I had) and tie a knot in the middle of the folded tissue paper. 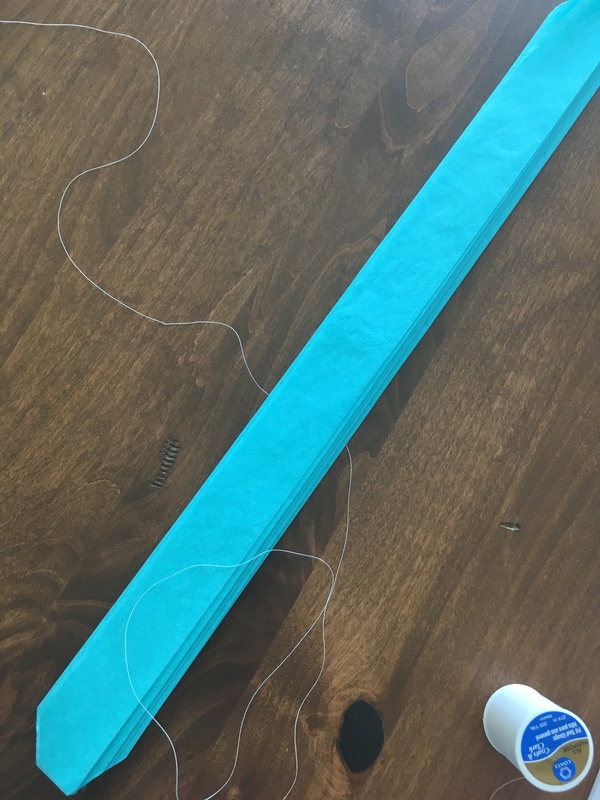 Leave a long piece of string, this is what you will use to hang your pom-pom with. 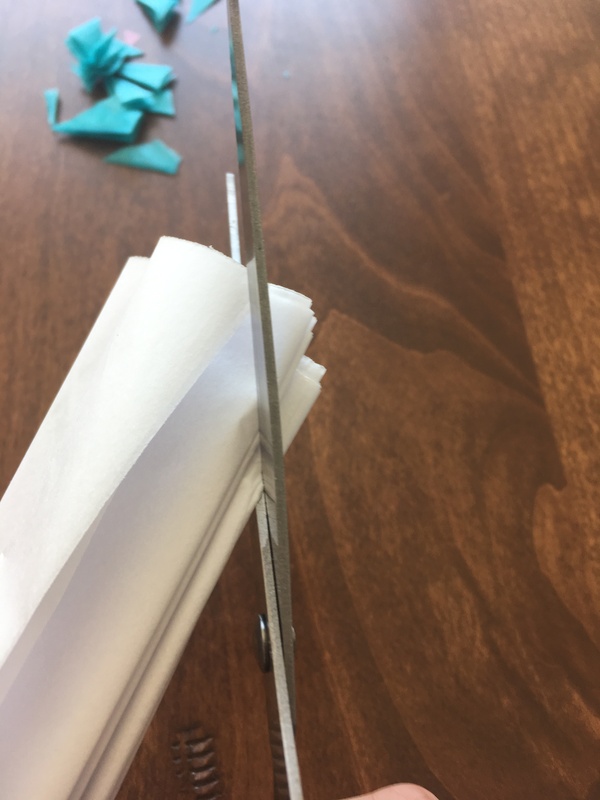 Now, snip two small cuts on both ends of the tissue paper. 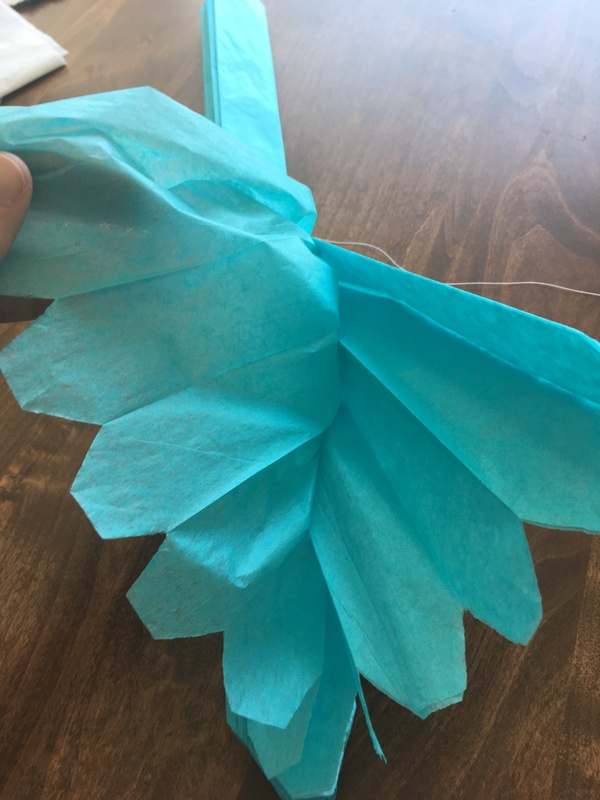 This is what gives the flowery shape to the pom pom. You are almost finished! 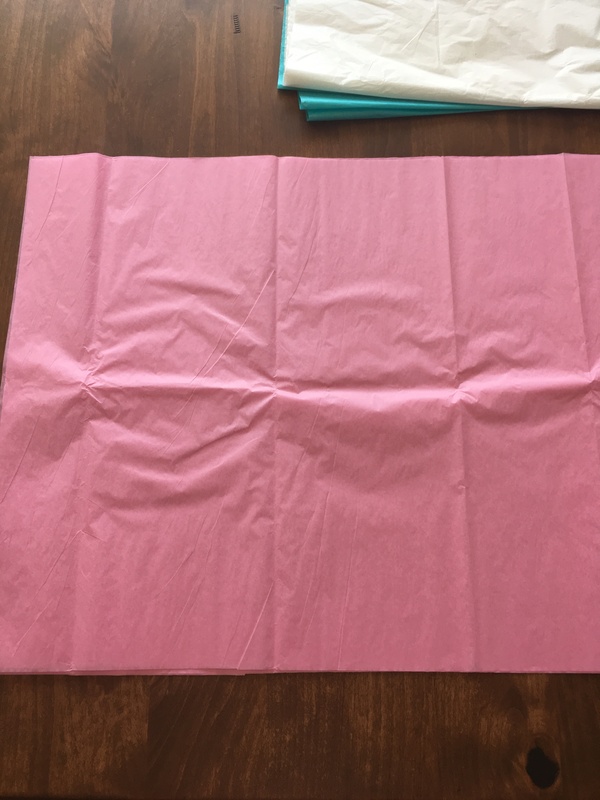 Now, gently separate each sheet of tissue paper. This will fluff out the pom-pom. You fluff one side of the pom-pom and then the other side. Adjust the fluffs until you get it just right, and you are done! 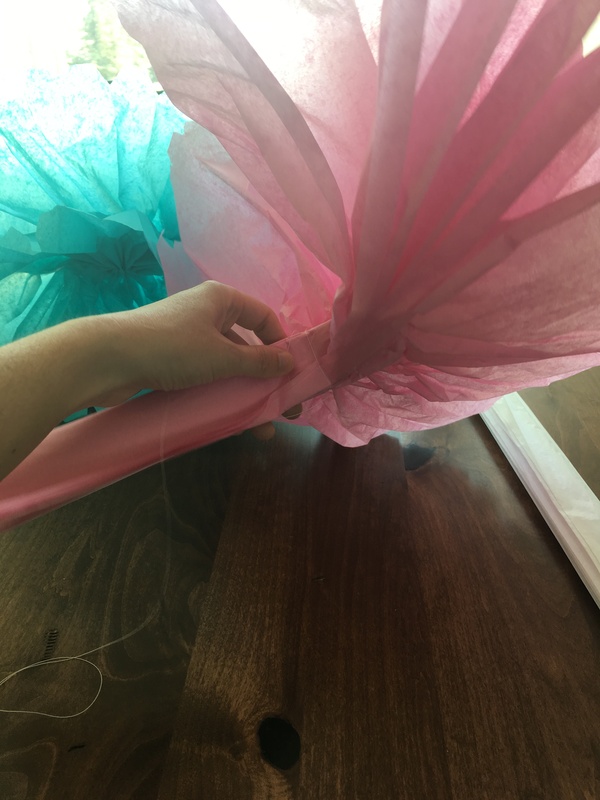 It takes about 10 minutes per pom-pom. Love this thanks for sharing!! Definitely thinking of having a go with Christmas print tissue paper!